Given Antigua is a small Caribbean Island in the middle of the Caribbean Sea and on the edge of the Atlantic Ocean, there are excellent flight links into and out of the island throughout the year. 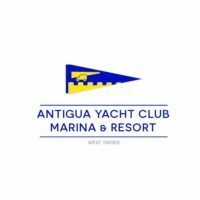 Antigua Sailing Week is based in English Harbour and therefore many people tend to focus on staying in the English and Falmouth Harbour areas. However, there is a huge choice of accommodation around the island that is easily accessible. Remember, you can drive to Regatta Headquarters from all corners of the island in about half an hour. SIZZLING, SUCCULENT, SCRUMPTIOUS Antigua’s European history is still evident today, particularly in the English Harbour and Jolly Harbour areas where French, Italian and British pub grub are easily available alongside Caribbean food. Antigua offers excellent and culturally varied cuisine island wide. Experience the Thrills & Adventures Antigua has to Offer! There is more to Antigua and Barbuda than English and Falmouth Harbours and before and after Antigua Sailing Week on Lay Day we will help you discover areas you’ve never visited or those that you loved so much you just have to go back. Whether you fancy a helicopter tour around Antigua or over the Montserrat volcano, a day trip to Barbuda, a hike through the rain forest or simply to sample restaurants across the island, we will help you plan your day. 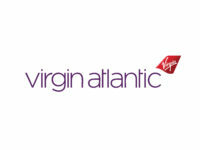 We wish you a warm welcome to Antigua and Barbuda! 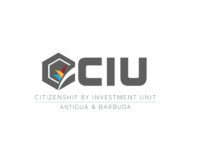 It is the objective of the Antiguan Government and the Departments of Customs and Immigration to make procedures for entry by sea as quick and simple as possible. The main ports of entry include English Harbour, Jolly Harbour, Deepwater Harbour and Heritage Quay. Yachts wishing to visit Barbuda must clear in at one of the official ports of entry in Antigua prior to proceeding to Barbuda. As part of the clearance process, a Cruising Permit for Antiguan and Barbudan waters will be issued which is valid for a period of one month. If you plan to remain for longer than one month, it will be necessary to renew the Permit when it expires.